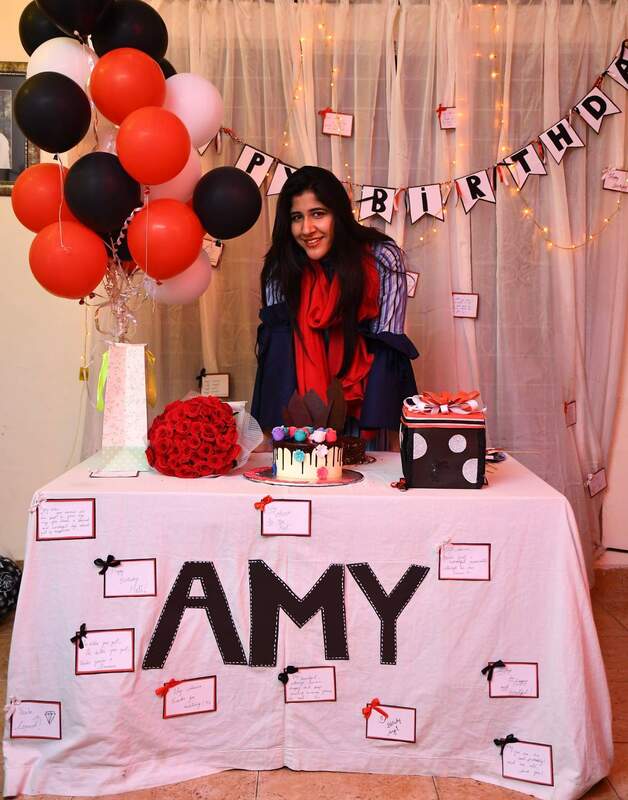 This Brother's Heartfelt Letter To His Sister On Her 26th Birthday Will Make Your Eyes Teary! 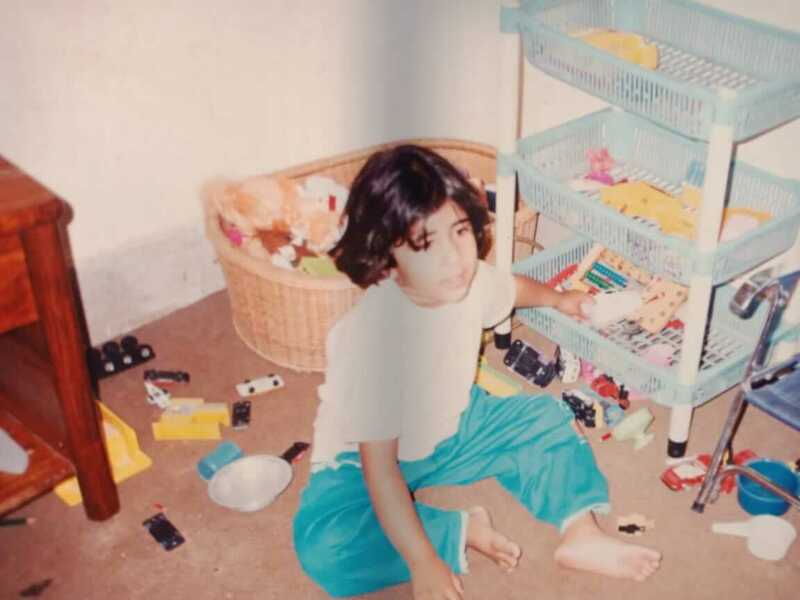 This week, my sister, Amna Mahmood Rizvi, turns 26. She is the third of five children – preceded by a sister, Sara, caring and compassionate. Two more sisters follow, Wania, tall and slender, with curls going all the way down to her lower back, and Fatima, most attractive of us all, with all her charm coming from our father’s side of the family. I am the eldest of the bunch, not handsome in any sense of the word, with the height being the only redeeming feature of my personality. In her early years, Amna was different than rest of her siblings; she closely resembled our father in her features; she was the shortest of us all and with darker skin and silky hair, as black as raven. As a child, she was the fattest of the bunch, always munching on one thing or the other. I remember the time when she used to hide packs of cookies under her pillow; eating when none of her siblings would be around. Sharing made her angry, and she would turn into a wild animal whenever we asked her for a bite – like a mama bear that goes berserk when someone threatens her cubs. Her shrieks would be audible to the neighbors, and we would always laugh at her, drawing the ire of our mum. 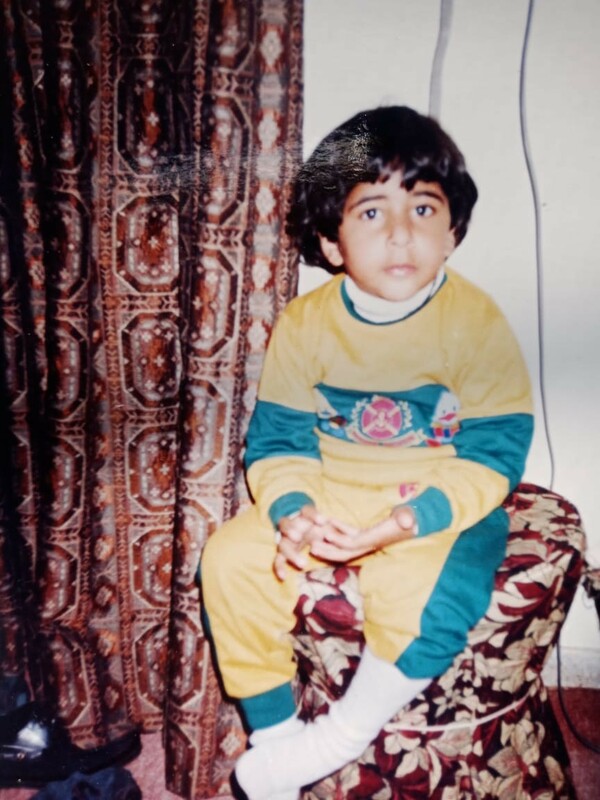 Looking back, during those early moments of our childhood, at a time when we remember her to be an angry child, at the same time, we also saw her compassionate side during many instances. If one of us would have suffered some harshness from either mum and dad, Amna would always be the first one to come to us. Even though she had a fondness for food, she managed to keep herself in great physical shape in her older years, much to our surprise. She still loves to eat and visits every new place that opens up in the city, but she never compromises on the way she looks. I remember the daily grind of picking her up from the local gym that she used to go to and the subsequent arguments that I used to have with her – I would tell her to stop eating and she would not need to work out anymore. She would scoff back, instantly making me regret my comment. That is what I always appreciated about her: she would take a stand for things that would mean something to her. 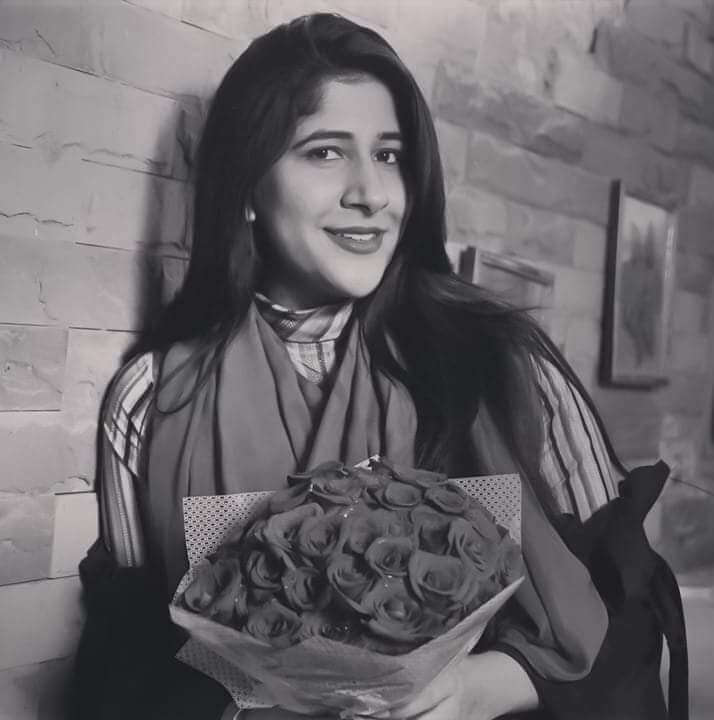 While some of us would compromise, in light of our tenuous financial situation, Amna used to stand her ground and made sure that she got what she desired. And I think, in the end, it was that mindset that helped her in her life. We spent our childhood in Bahawalpur, a small town in the southern part of the province of Punjab, back when the city was relatively unknown to the rest of the country. It is still unknown – only people that know of its importance are people belonging to the towns and villages that surround it. A small city embellished with myriad forts and garrisons, belonging to the Nawabs of the time past, but significant enough to hold an entire brigade of the Pakistan army. The reason for it was the city’s geographical location; with close proximity to the Indian border, it served as the strategic outpost for the military. But there was something else that was unique about it – the nonchalant attitude of its residents. In all my time living and growing up in Bahawalpur, I never came across a single protest – not even when Benazir Bhutto, ex-Prime Minister of Pakistan, was slain – there were protests all over, but ours was the city that was least bothered. And no wonder. People seldom left the city, and most of the residents who did manage to leave never came back. Our father was a Government Officer, who used to spend most of his time outside the city; we only used to see him on the weekends, when he would come back and took us out on long drives, sometimes to the nearest city, to see the maternal side of the family, only to be gone the next day. Our mother, friendly, hospitable, and caring, would take care of us till we could see our father again – when I look back now, I imagine how difficult it must have been for our mother to take care of five kids, running around the house causing all kinds of havoc. But she did well, all things considered. Our father passed away when we were young; I was fourteen while our smallest sister, Fatima was only two. It was a difficult time in our lives, living in a society where women usually took the role of managing the house and were frowned upon if they head outside to work. Our father was strict in his mannerisms and always took charge of managing the household routine, limiting the role of my mother to take care of the children. She had never faced the realities of life before and had to step outside of from the comforts of her home to undertake the nearly impossible task of bringing up five children – in a strict, male-dominated society, with no source of income, and zero support from the state. Amna suffered the worst from the ordeal since she was old enough to understand what was happening yet young enough to not have the right mindset to cope with it. Carefree and flamboyant, she realized that she needed to change herself completely, in order to attain something of value in life; she had to do something radical in order to prevail. When I was fourteen, I succumbed to depression from the tragedy of our father passing away. I was in high school at the time; the brightness that I displayed during the early part of my academic life all but vanished. My father’s demise took a toll on me, making me careless – my perfunctory attitude towards life made my mother worried, my sisters anxious and my extended family nervous. Our mother, against all norms, took up the reins of managing the family, which she managed to do – courageously. Sara got married early on, in 2006, which made my mother relatively happy, not because she wanted her to go away, but she believed that marrying her off to a stable family would make her husband proud of her. Sara’s life did not turn out to be good since life is bitter and filled with suffering – but that is a topic for another day. 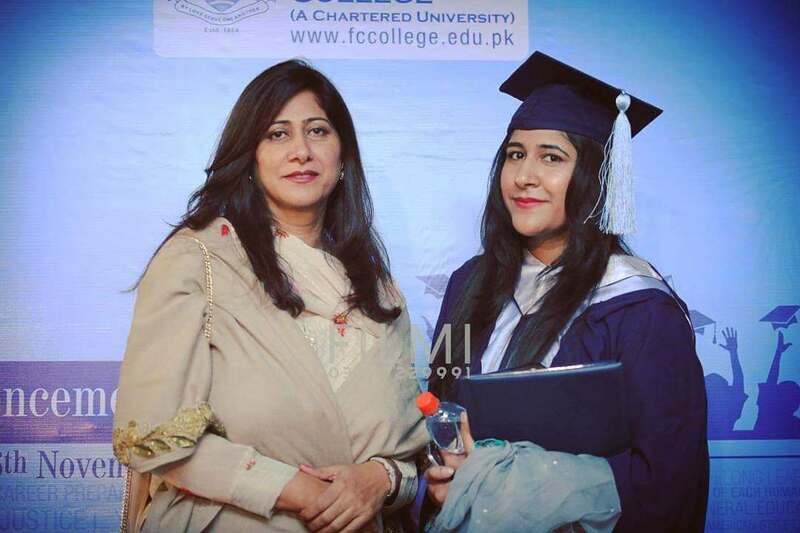 Amna meanwhile, continued her high school and got admission in one of the most prestigious colleges of the state, Punjab Group of Colleges. It was miraculous, in more ways than one: first was our financial situation which prohibited her from getting admitted in the place and second, there was no way that our mother would have let her study there since it was notorious for having girls which were outlandish, lewd and immoral. But Amna would not let that get in her way – never. She secured a meeting with the Dean, wrote a poignant application, and spoke to the admission’s board in such a manner that she got the admission the next day. I still remember the smile on her face that day, all those years ago. This was the same resilience that got her admitted in one of the most leading University in the country, Forman Christian College, Lahore. She did not pay a single penny to the University and worked there on the Student Work Program to cover her tuition. Before I move further, I have to comprehensively describe the socio-cultural landscape of the place we were brought up, to understand more deeply, profoundly, with what Amna has been able to achieve in her life. Our society, in Pakistan, in more ways than one, is confusing to describe. The dogmas that define the patterns of behaviors for the individual are the amalgamations of multiple doctrines crammed into one – a potpourri of Islamic ideology mixed with societal norms of the South Asian Subcontinent, birthing an overarching meta-narrative that sets the preconditions for the individuals to act. It is ironic that in our part of the world, women were encouraged to remain at homes, while Islam liberated them and desired for them to take part in the affairs of the state. It is all lost in translation – the culture of the Subcontinent took precedence over the fact and women were assigned domestic duties, while men took charge in battling the forces of the outside world. This, however, by no means suggest that the women felt oppressed during that structure, quite the contrary. This was the axiomatic truth, and women accepted it. Things have changed quite drastically; since the advent of the internet and rise of social media, women are now taking part in the outside world, same as men, side by side. Education has played a major role in this regard, but we still have a long way to go. But I digress. 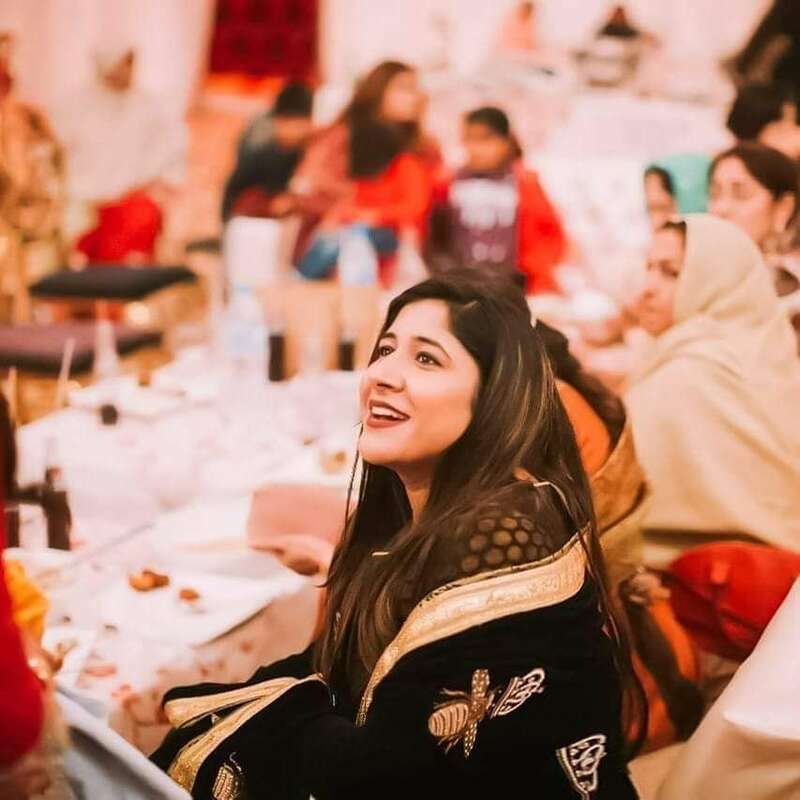 Bahawalpur, being a small town, expected the women to behave in a certain way; old families lived in the city, with roots tracing all the way back to the great cities of Persia. The narratives and patterns adhered by these families, sometimes, became a burden too heavy to bear. This was evident with the fact that, in our family, girls were supposed to get a basic education, and then married off to men, sometimes much older. It did not matter whether the man was deserving of your daughter or not – all that mattered was how much money he had, and how much influence he had in the society. We were also expected to adhere to the axiomatic laws of the land, and we did, to some extent. 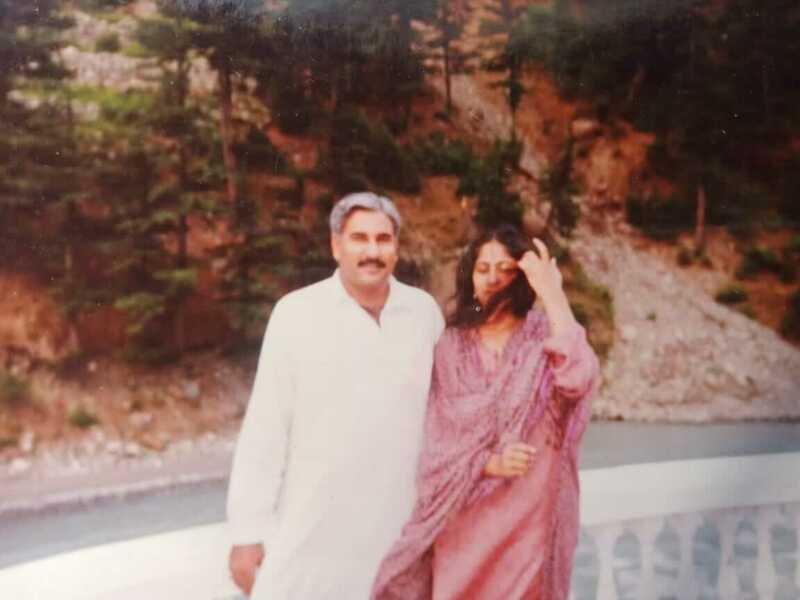 My elder sister, Sara, was married off to the man who was twice her age, her life thrown away like a carcass to the vultures – she still suffers to this day. My younger sister, Wania, younger than Amna, was given to her cousin, at the tender age of 17. 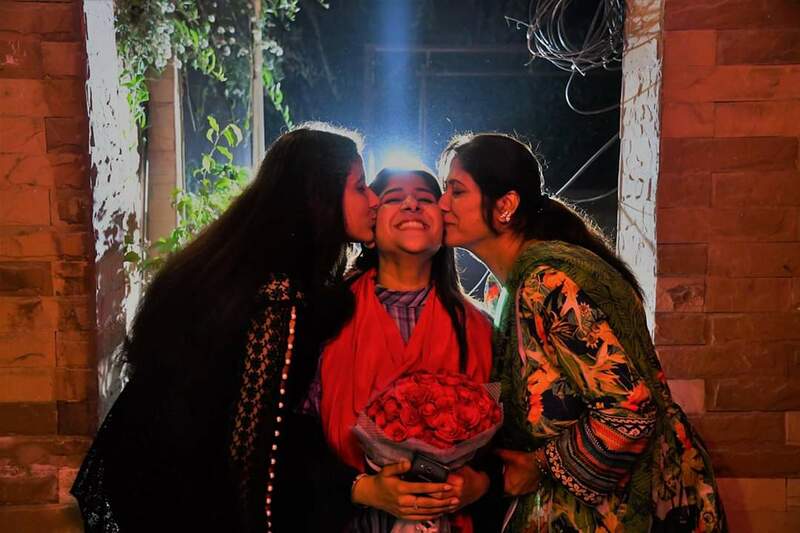 Amna saw that happen at a very young age and devised her life in a manner that would ensure that she would not succumb to the same fate, and she did not. 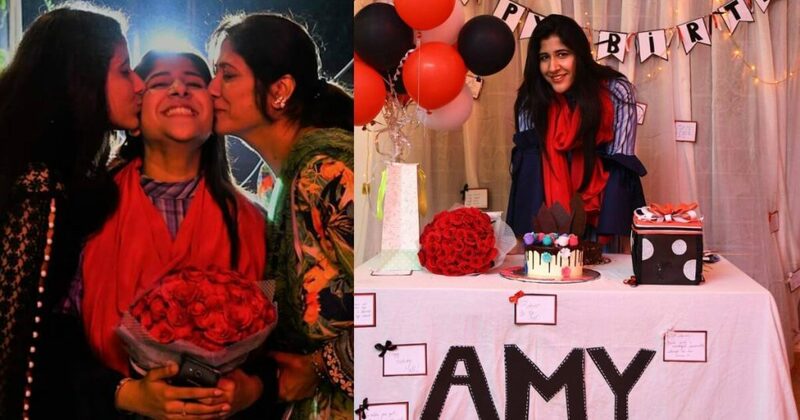 On the eve of September 2nd, 2011, Amna left Bahawalpur for the first time, after she got herself admitted in Forman Christian College in Lahore, in a bustling metropolitan, more than two hundred miles from our hometown. This was a remarkable feat at the time, considering the fact that she defied her family members, bore the resistance from the people around her, and took the first steps of a long and arduous journey. A girl, who used to cry getting up for school in the mornings; a girl who used to say that studies were just not meant for her; a girl who used to get an upset stomach, just by thinking about going to school; on top of that, living in a society that did not encourage girls to create their own paths in the first place – from there, being the first one in the family to get enrolled in a University, for me, is something to be proud of. It is pertinent to note here that many of us, including me, were skeptical of her in the beginning; being the pessimist of the family at the time, instead of encouraging my sister, I played the devil’s advocate instead. I berated her without remorse and downplayed her achievements on most occasions. I understand why I did that, now when I think about it. Maybe, I was frustrated with my shortcomings. The mistakes that I made during my early years was the causality behind the hell I was living in and made me jealous of my sister’s achievements. Or maybe, this is a low-resolution representation of the past events. There could be multiple reasons behind it, but this is the only thing that comes to my mind right now. But the remarkable thing to note here is that Amna did not pay attention to any of it; instead, she understood it and did not take the things I said to her to the heart. She did not let my pessimism get close to her and continued what she was supposed to do. Moreover, I always found her around me, whenever I was feeling blue, there to console me and cheer me up. And I love her for that. Amna, as of today, is double majors in Economics and Education. She has received numerous rewards from her University and has had a successful career as a Banking professional for more than three years. She is smart, intelligent, and assertive, a quality seldom found in our family. She has an unusual sense of humor, sometimes dark, with a certain quirkiness that is unique to her. She is a high functioning extrovert and has got a big, vibrant social life. One of the best qualities that she has is her ability to plant herself like a tree in the face of confrontations. If she believes in something, she stands her ground and faces it, instead of shying away; she is not afraid of standing up for herself and does not back down from an argument. A trait that I, personally, lacked most of my early life, and developed rather late. I liked that about her, her ability to be assertive and dominant. But our family did not like that, not one bit – they labeled her with all kinds of pejoratives; people had the perception that she was a mean, angry young woman, and the contemptuous attitude of her family was evident. But the reality is otherwise – people seldom understood her – one casual conversation would reveal that she was candid and honest; a beautiful person from the inside, soft, decent, lovable human being. In the end, Amna, this is for you: I have had a tough life, not because the world has been unkind; throughout my younger years, and to this day, I have realized that life, in its truest essence, is suffering. That is a proverbial truth – the chaos of the world will engulf you, one time or another. On top of that, to make matters worse, life is laden with malevolence. And the only way that you can transcend the sufferings of life is to engage in things that manifest the best parts of you into being; by constantly interlacing with the meaningful endeavors, you transcend to the higher planes of existence, making the sufferings of the world worthwhile. You voluntarily accept your vulnerabilities and pick the heaviest load that you can possibly lift – and that is responsibility. Life is not the pursuit of happiness; rather it is the pursuit of meaning. That is the ultimate responsibility, the ultimate sacrifice of your desire, for a better, prosperous future. On the eve of your 26th birthday, I want to tell you that, knowing you, throughout your life, I see great potential. You have the ability to achieve great things in your life, better things, that will not only make our father proud but me as well. I can see that in you, clear as day.